What Does Mushroom Extract Do? 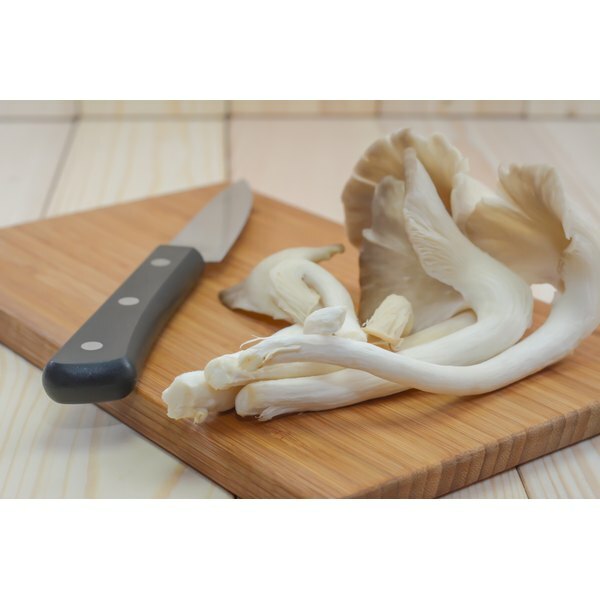 What Are the Health Benefits of Maitake Mushrooms? From the high altitudes to the low fields, people from Tibet gather species of mushrooms from the wild to be used as food and folk medicine. Some species are unique to Asia, while others are spread throughout the world. Studies now show many of these Tibetan mushrooms have significant pharmacological and nutritional benefits, and may support human health when included in the diet. If you are taking prescription medications, consult your doctor before purchasing mushroom products. Cordyceps sinensis, also known as the Caterpillar mushroom, is one of the most important medicinal mushrooms of Tibet. In a review of research published in the "Journal of Food and Drug Analysis" in 2000, researchers from National Yang-Ming University determined cordyceps has significant health benefits, as demonstrated in a range of studies. Cordyceps is antioxidant, immune stimulating, anti-tumour, anti-fatigue, hypocholesterolemic, adrenal tonic and energy enhancing. This edible mushroom has a wide range of uses in human health and is an important product to the economy of Tibet, as wild Tibetan cordyceps is regarded as the best to use. Chanterelles are one of the most popular edible mushrooms gathered wild in America, Europe and Asia, with several species of chanterelle native to Tibet. According to a study published in "Mycological Research" in 2002, researchers from the Swedish University of Agricultural Sciences investigated some of the nutritional content of chanterelles. During the study they discovered chanterelles have a very high vitamin D content, with as much as 2,500 international units of vitamin D per 100 grams of dried chanterelle. During autumn and winter months when chanterelles are available, vitamin D levels are important, helping to maintain mood balance and immune health when exposure to the sun is very limited. Boletus edulis, the famed Porcini mushroom, grows throughout Asia and Tibet as a wild mushroom that cannot be cultivated despite its popularity in cooking. In a study published in "Food Chemistry" in 2008, researchers from the Medical University of Warsaw found significant levels of a chemical called ergosterol in Boletus edulis. Ergosterol is a cytotoxic compound that occurs naturally in many species of fungi, and has antibacterial, antiviral and anti-tumour activities. Eating Boletus edulis may benefit the immune system in humans, helping to protect them from pathogens. Lion's Mane mushroom, also known as Hericium erinaceus, is a rare edible mushroom with some even rarer medicinal effects on the nervous system. Extracts of Lion's Mane have a stimulatory effect on nerve growth factor (NGF) in the body, supporting the healing and growth of damaged nerve tissues and myelin. In a double-blind clinical study published in "Phytotherapy Research" in 2009, researchers from the Mushroom Laboratory in Japan studied the effects of Lion's Mane mushroom in patients. Those given the mushroom noticed a significant improvement in cognitive function compared to placebo. More research is still required to test the effects of Lion's Mane in patients suffering from multiple sclerosis and other conditions affecting damaged nerves and myelin. What Are Ganoderma Capsules Used For?